Reach your sunny destination to compete on a famous game show. 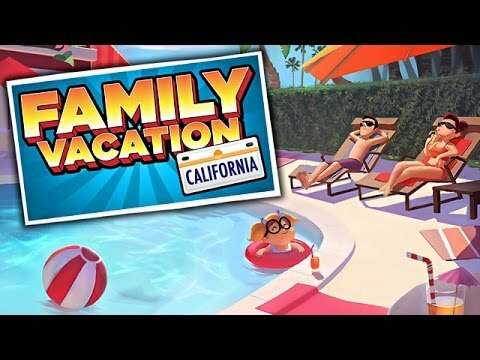 "Family Vacation: California is the very first Hidden Object game that I thought was suitable for children. I could see a child becoming very proud rather than frustrated. The objects are easily found. A fun family game for all ages!" Barb never thought she’d win, but she did in Family Vacation: California. Her submission to be a contestant on the game show The Price is Nice was accepted and she and her family are on their way to sunny California. It’s up to you to help them get to their destination safe and happy. You’ll have to help them pack, get to the airport on time, board the plane, have a safe flight and get to their hotel at the other end. Once at their destination, you’ll hit the beach, take in a ballgame and go to Playland Theme Park, before helping Barb compete on her favorite game show for cash and prizes.